The historic links, a favourite haunt of five-time Open champion Tom Watson and other Major winners including Ben Crenshaw, Craig Stadler and Greg Norman, will welcome teams from Scotland, England, Wales and Ireland from 7-9 August. Local interest will focus on Calum Scott, from Nairn Golf Club, who is making his second successive appearance for the Scottish team. Calum’s brother Sandy is also a Scottish internationalist and played for Great Britain and Ireland boys in the Jacques Leglise Trophy at Royal Dornoch in 2015. Defending champions England will be going for a hat-trick of victories after winning all their matches last year at St Annes Old Links to successfully defend the trophy they won at Ballyliffin Golf Club in Ireland in 2016. The three-day series of foursomes and singles matches, staged by The R&A, continues a run of leading golf events in Scotland recently, with the Scottish Open and Scottish Ladies Open held at Gullane, The 147th Open at Carnoustie and the Senior Open presented by Rolex at St Andrews. Royal Dornoch Golf Club General Manager Neil Hampton said: “It is with great anticipation and excitement that we look forward to hosting the prestigious Boys Home Internationals event, being staged by The R&A. Duncan Weir, Executive Director – Golf Development at The R&A, said, “Our aim is to offer amateur golfers opportunities to compete on the world’s finest courses and to give them the stage to demonstrate just how talented they are. Golf has been played in Dornoch for more than 400 years. The golf club was formed in 1877 and was granted a Royal charter in 1906. 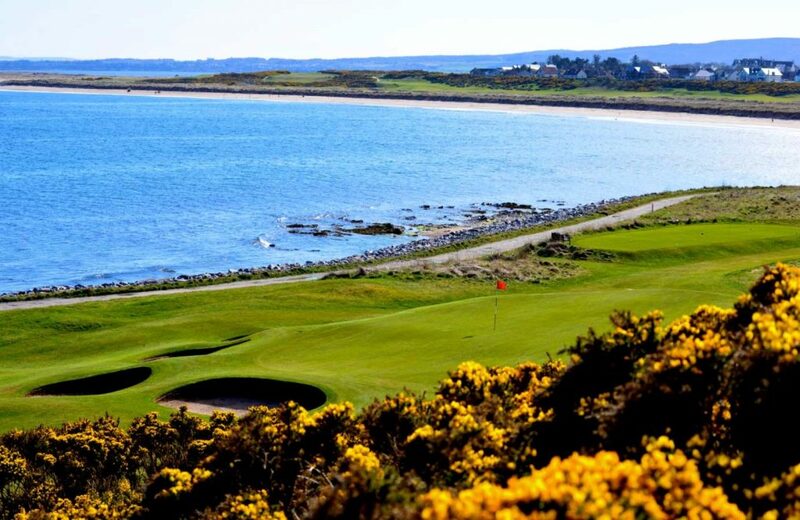 The club’s Championship Course is regarded as one of the world’s finest links courses. It was ranked No. 4 in the world by Golf Digest earlier this year. It has previously hosted the Scottish Amateur Championship on three occasions and also The Amateur Championship and the international Jacques Leglise Trophy. The Boys Home Internationals began life in 1923 as a match between teams from England and Scotland. In 1972, a match between Ireland and Wales was added and since 1996, the internationals have been played as a round-robin event between the four countries.